SEDL staff show teachers how to use technology to improve students' literacy skills in rural New Mexico schools. When SEDL staff work with teachers in the New Mexico Rural Partnership for Technology, they do not merely show teachers how to use technology in the classroom. They also integrate it into the technical assistance process itself. As the name suggests, the partnership consists of New Mexico school districts in isolated, rural areas. 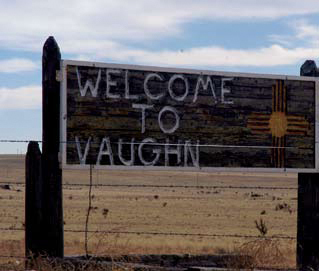 In Magdalena Municipal School District, for example, approximately half of the students live on the Alamo Navajo Indian Reservation, some as far as 70 miles from the school. To compensate for the long hours students must spend traveling, school is in session only 4 days a week but with a longer school day. Project director Danny Martinez provides technical assistance to elementary teachers to meet the partnership's goal of using technology to improve student achievement in literacy. Literacy is most often associated with reading. In today's knowledge-based society, however, students need to be expert readers, writers, and thinkers. Technology is a crucial vehicle for helping students access information, comprehend text, communicate effectively in a variety of contexts, and think creatively and critically. "Technology offers a chance for [students] to celebrate who they are. It gives them the opportunity to tell their own unique, personal stories." SEDL staff working with the partnership also face the challenge of rural isolation and rely on technology to overcome it. Some of the schools participating in the partnership are more than 100 miles apart, requiring SEDL staff to drive many hours to make on-site visits. To avoid excessive driving but still maintain frequent face-toface contact, Martinez has organized video conferences, in addition to his personal visits, to deliver some of the professional development sessions. "We like using videoconferences for technical assistance for a number of reasons," says Valerie Brae, who is principal of Quemado School and also teaches classes there. "We don't have to get on a bus and ride several miles, but we also learn about the technology so that we can use it in our classrooms." Martinez has used other forms of technology to help teachers learn and exchange ideas. He has created a social-networking site exclusively for the teachers in the technology partnership. Participants can post pictures, videos, and Web links; have discussions; and leave comments on members' "walls," just as they might on Facebook or MySpace, but in a secure and private setting. He has also introduced teachers to email groups, which they can use to communicate, and TeacherTube, a videosharing Web site dedicated to educators. Depending on teachers' level of familiarity, the technical assistance may begin with the teachers themselves learning how to use the technology. But the ultimate goal is for the teachers to integrate the technology into instruction in ways that support meaningful student learning experiences. Martinez hopes that the professional development will lead to students combining their cultural heritage with technology skills. He recounts some of his experiences with the students—a group of students singing in Navajo, or another time when students showed him some traditional Navajo weavings. "I would love to see students share some of their experiences and work on a site like TeacherTube," he says. "Technology offers a chance for them to celebrate who they are. It gives them the opportunity to tell their own unique, personal stories, and those stories can inspire and educate others. Along the way, they are learning 21st century skills that can open doors and create opportunities for a lifetime."